A woman who climbed the Statue of Liberty and forced authorities to evacuate thousands of tourists in the area was sentenced to five years of probation and 200 hours of community service Tuesday. 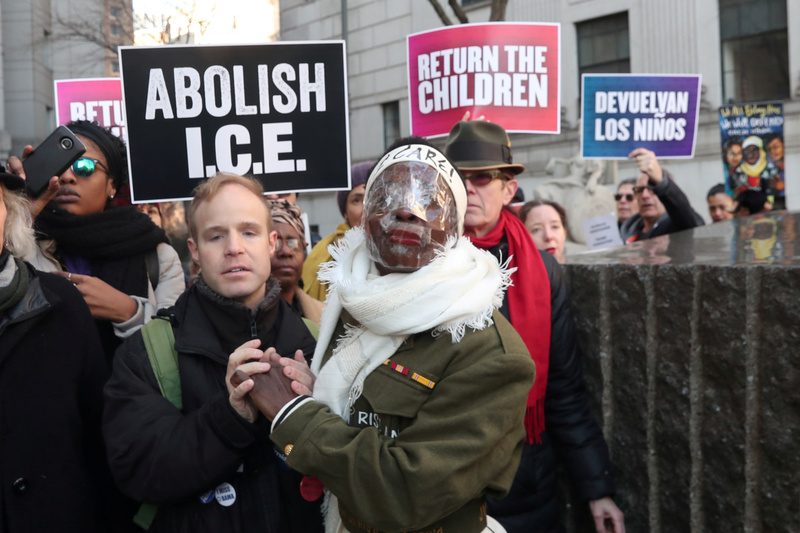 Therese Okoumou, a 45-year-old Staten Island woman, climbed the base of the statue to protest the Trump administration’s immigration policies July 4, 2018. She “staged a dangerous stunt that alarmed the public and endangered her own life and the lives of the NYPD officers who responded to the scene,” U.S. Attorney Geoffrey Berman said in a statement in July 2018. 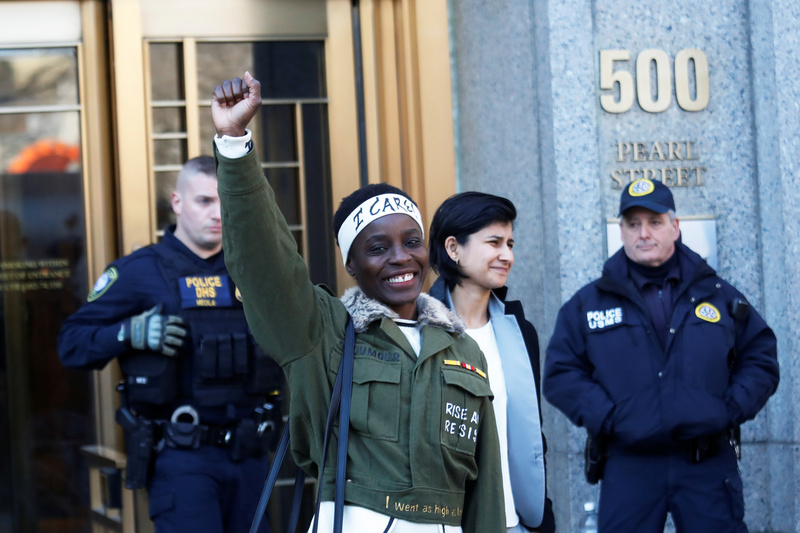 Okoumou’s lawyers argued her protests created no danger and jail time would make it harder for her to get a job, which the judge had suggested she do, according to ABC News. “I do not need probation and I do not belong in prison. I am not a criminal,” Okoumou told Magistrate Judge Gabriel Gorenstein Tuesday. She showed up to the courtroom with clear tape covering her mouth in protest over limits to her freedom of expression, she said, according to ABC News. Gorenstein ordered her to remove the tape. Okoumou had, in an apparent reference to first lady Melania Trump, showed up to court in a dress with the phrase “I really care why won’t u? Be best” in August 2018. The protester had been convicted of trespassing for the stunt in November 2018. She had reportedly previously been arrested in August 2017 on charges of trespassing, obstruction of government administration and misdemeanor assault during a protest against the New York Department of Labor. President Donald Trump called Okoumou a “clown” at a rally in Montana on July 5, 2018, a day after her stunt.